Training and Certifying Centre of Seafarers of Odessa National Maritime Academy conducts the refresher and updating courses for officers of marine ships. In accordance with "Provision on procedure of awarding the ranks to the officers of marine ships" adopted by the Cabinet of Ministers of Ukraine, decree no. 38 of 15 January 2005 and its amendment (edition) no. 373 of 5 March 2007, the training at the refresher and updating courses is mandatory in case of revalidation or award of the corresponding rank. The training of students at the refresher and updating courses is conducted on the curricula and syllabi developed by the Departments, approved by the Scientific Council of the Academy and agreed with the Maritime Administration of Ukraine. Their main purpose is to perfect technical knowledge, skills and professionalism of seafarers according to Resolution 8 of the International Convention STCW 78, as amended. It is provided by the "Ships Engineering Maintenance" Department. Syllabi are structured in levels of responsibilities, functions and competencies in accordance with STCW Code 95, as amended. Refresher and updating on the syllabi for management level is done by first and second class engineer officers and for operational level is done by third class engineer officers and 1st, 2nd and 3rd class electrical engineer officers. The syllabi of training include familiarization with the current state, contemporary tendencies and perspectives of the development of ship technical facilities, methods of process control and technical operation as well as other aspects connected with organization and guarantee of safe operation of the ship, environment pollution prevention and care for persons on board. In addition students of courses study the current changes and amendments to the International Conventions, Codes, Agreements and Regulations as well as National requirements regarding sea navigation. The process of training at the refresher and updating courses for engineer officers of management level includes lectures, practice, simulator training and consultations in theoretical and practical sections of disciplines being studied as well as competence assessment on the simulators and laboratory equipment. Electrical, electronic and control engineering. 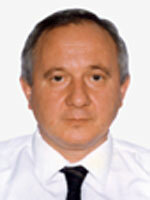 senior lecturer, first class engineer Yuriy V. Popov. It is provided by the "Safety of Sea Navigation" Department. Syllabi are structured in levels of responsibilities, functions and competencies in accordance with STCW Code 95, as amended. Refresher and updating on the syllabi for management level is done by deep sea captains and deep sea navigators and for operational level is done by navigators. Controlling the operation of the ship and care for persons on board. The syllabi of training include familiarization with the up-to-date technical facilities of navigation, consideration of matters of the crew relationship on board, main issues of international maritime law and legislation of Ukraine in the field of sea navigation, as well as other aspects connected with guarantee of safety of sea navigation, environment pollution prevention and care for persons on board. In addition, the changes and amendments to the International Conventions as well as National requirements regarding sea navigation are studied. The process of training at the refresher and updating courses for deck officers includes lectures, practice, simulator training and consultations in sections of disciplines being studied as well as competence assessment on CES-4.1 simulator programme. When completing the refresher and updating courses deck officers of management level write and defend essays which contain the description and analysis of characteristic cases of issues concerning safety of navigation from the personal experience of the students' work. Besides the refresher and updating courses, the completion of special course "Ship Handling Arrangement" is introduced as mandatory for deck officers of management level in accordance with the recommendations of International Maritime Organization. 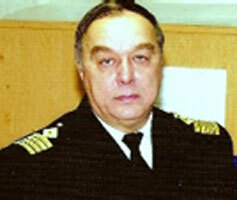 senior lecturer, deep sea captain Oleg M. Kizikov. The duration of training at the refresher and updating courses is from 5 to 10 working days depending on the syllabi of training and preparedness of students. Training Center "Survival under Extreme Conditions at Sea"